Raritan Intelligent PDU PX-5000: Dòng sản phẩm rack PDU (Power Distribution Unit chất lượng cao có thể tắt/mở từng outlet riêng biệt từ xa. Nhà quản trị có thể theo dõi theo thời gian thực các thông số: điện thế, dòng điện (amp), power(kVA, kW), điện năng tiêu thụ (kWh) với độ chính xác theo chuẩn ISO/IEC +/- 1%. PX-5000 cũng hỗ trợ tính năng plug-and-play các sensor đo nhiệt độ và độ ẩm với chức năng cảnh báo khi các thông số về môi trường vượt mức ngưỡng. PX-5000 có nhiều kích cỡ Zero U (PDU lắp đặt theo chiều đứng của cabinet), 1U, 2U với các phích cắm, ổ cắm đa dạng theo chuẩn NEMA, IEC đáp ứng dòng điện lên đến 400V. Thông qua trình duyệt web, nhà quản trị có thể cấu hình, theo dõi và điều khiển chính xác PDU nhằm đảm bảo hệ thống luôn hoạt động ổn định. PX-5000 hoàn toàn tương thích với giải pháp quản lý năng lượng data center Power IQ® của Raritan. Remote power monitoring, metering and rich data collection including current (amps), voltage, power (kVA, kW) and energy consumption (kWh) Make informed capacity planning decisions and efficiently utilize power resources such as finding stranded power in racks. Measure IT equipment power consumption to save power and money, calculate Green Grid’s PUE Level 2 and Level 3, and drive green data center initiatives. LED and alarms for unbalanced loads based on user-adjustable thresholds Increase efficiency, utilization and capacity. Load balance lines and circuits to avoid overloading neutral lines. Improve uptime and staff productivity. Capable of ISO/IEC +/- 1% billing-grade accuracy real-time power monitoring and metering, down to individual outlets for some models Report and/or bill back power consumption (kWh). Trend and track energy utilization or bill power costs to users. User-adjustable power data sampling and buffering End users can choose the frequency at which they monitor power and the amount of data they gather. Alerts via SNMP, e-mail and syslog from individual outlets, units, lines and circuit breakers when user-adjustable thresholds are exceeded Receive advanced warning of potential problems with critical and non-critical thresholds and alerts. Standards based polling, configuration and alerting with encryption via SNMP v1, v2, v3 support, SETs, GETs and TRAPs Increase uptime with alerts. Collect data for trending and capacity management. Ethernet, serial, USB-A, USB-B and sensor connections Supports modem control functions for serial console access. Connectivity options for third-party peripherals enabling new applications, e.g., wireless, USB drives, etc. Directory services support providing advanced authorization options, including permissions, LDAP/S, RADIUS and Active Directory®. 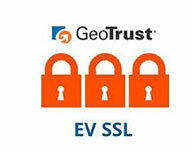 256-bit AES encryption and strong passwords Configure user access rights and security settings. Remote access via Web and CLI. Supports HTTP, HTTPS, SSH and Telnet Check status of PDUs, lines, circuit breakers and individual outlets. For switched models, remotely provision (turn on), reboot and switch individual outlets and groups of outlets with user-configurable, outlet-level delays for power sequencing. Compatible with Raritan’s Power IQ® Centralize power control and analytics and measure CO2 footprints. Environment-monitoring-ready intelligent rack PDUs with optional plug-and-play environmental sensors Monitor temperature and humidity to identify hot spots, confidently raise the ambient temperature of your data center to reduce cooling power consumption and manage static problems. Increase efficiency with ASHRAE guidelines. Alerts based on user-defined environmental thresholds Save costs by leveraging PX to monitor the data center environment and receive alerts when thresholds are reached. LED indication if sensor is plugged in and detected Provides confidence that environmental sensors are functioning and properly monitoring the data center environment. Hundreds of models Meets all your data center applications, including models with outlet switching and individual outlet metering. High-power, including 400V power distribution and high temp 60C models For high-heat environments such as blade servers, high-density applications and storage area networks (SANs). Supports hot aisle containment and high-power blade racks. High-quality construction and components such as solder connections to copper bus bars in PCBs, ISO 9000 quality manufacturing and quality components from Tyco, Hubbell® and Mennekes® Superior reliability compared to other rack PDUs available. Lightweight and strong extruded aluminum chassis with excellent heat dissipation and versatile button and bracket mounts Mounting flexibility. Designed with 3D CAD/CAM software Up to 36% less deep than competitive products for easier rack mounting and minimal equipment and airflow blocking. UL489 circuit breakers Meets Underwriters Laboratories’ latest branch circuit protection standards. Unlike fuses, an electrician or an inventory of spare fuses are not required. Eliminates the possibility of installing a fuse with the wrong rating. Smart reversible LED display that changes orientation Easily check power readings, such as line draw and balance for three-phase rack PDUs at the rack before adding devices. 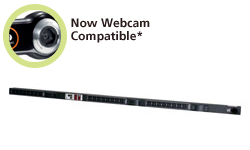 Increases installation flexibility. Raritan’s 25 years of data center management and embedded development experience led to the embedded high-performance processor Rich and full implementation network management, directory services and security with best-in-class user experience. Scalability and headroom for future upgrades.